In this post we will see how to start new activity. In android app many screens/Activities are used. so we have to navigate to another activity or go back to previous activity. 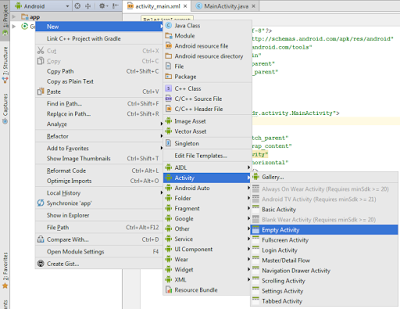 we will see how to do this.open android studio. 1. 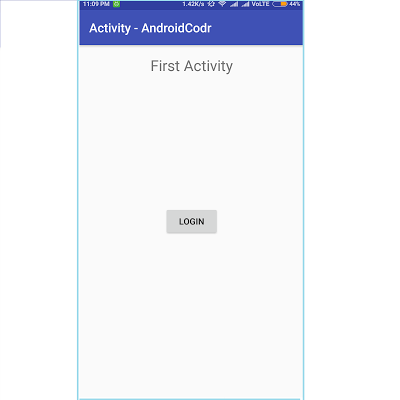 Create a new android project give name as Activity. 3. Select minimum api version 14. 4. Add empty activity from next screen. 5. on next screen click finish. 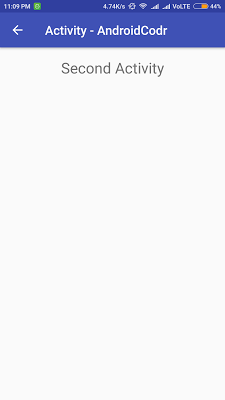 now we will add second activity to our app. It can be used with startActivity to launch an Activity. our second activity is now opening. we can go back to previous activity by pressing back button. we can also add back arrow on action bar. 15. its displayed now but not functioning because we have not added code for it. 16. Override method onOptionsItemSelected type ‘onOp’ press ctrl+space android studio will give you suggestion press enter method will be added. 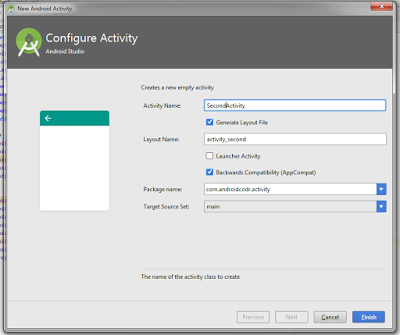 call finish(); method to close current activity.